HRQ United provides job search services to applicants from the CIS in the hotel and restaurant industry of the State of Bahrain. on the prospects of employment in Bahrain. Health insurance provided by the employer covers the cost of medical care. 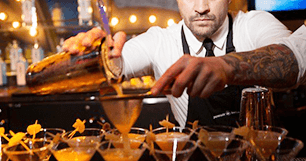 We cooperate with five-star hotels and first-class restaurants. The employer provides comfortable living and payment of utility services to the hired worker. The room is usually inhabited by two or three people. The employer ensures the delivery of the employee to the workplace and back. In the contract there is a clause that the purchase of air tickets in both directions is provided by the employer. At the airport a new arrival will be met by a representative of the employer company. Our clients receive employment visa as a guarantee of legal employment in Bahrain. The company of Bahrain, in which our client receives work, provides free meals. We care about the participants of our program for the entire duration of the contract. You need to know spoken English for employment. Work in Bahrain is well paid, there are bonuses and tips. Flight, food and rental fees, transport to and from work are covered by the employer. The employee receives paid leave, sick leave. The employee is provided with a uniform and can attend advanced trainings. The employer ensures obtaining of employment visa and provides employee with a medical policy. * The conditions of employment may vary depending on the vacancy. ** Payment for the services is carried out after successfully completed interview with a future employer, signing of the contract with our agency and conclusion of the labor agreement. Form properly, and prepare all required documents. Our managers keep in touch with you until contract expiry. Bahrain is the smallest Arab state uniting 33 islands in the western side of the Persian Gulf. Despite the small area, Bahrain is an economically developed kingdom with high standards of living, distinctive culture and minimal crime rate. The flow of tourists is attracted by the beauty of nature, Arabic cuisine and the unique culture of the country, exotic entertainment such as falconry, camel riding, speed car racing. For the guests of the kingdom five-star hotels of famous brands are built: The Ritz-Carlton, Marriott, Sheraton, Radisson, Kempinski, Crowne Plaza, Sofitel, Gulf Hotel, Four Seasons, Intercontinental and Banyan Tree Al Areen. Along with neighboring Dubai and Qatar, tourism is rapidly developing also in Bahrain, new hotels and entertainment complexes are built each year. Well paid work and relatively inexpensive accommodation – these are the advantages that attract specialists from the CIS countries to Bahrain. To work in Bahrain, waiters, animators, barkeepers, hostesses, service personnel and experienced specialists are constantly in need whom the state willingly accepts from other countries.More than half of the labor market of the state is represented by foreigners. The legal framework of Bahrain requires that employers sponsor foreign applicants, facilitate execution of employment visa and conclude official labor contract with them. Why is it promising to work in Bahrain? What will you get from work? You will gain international experience. You will perfect your English. You will get to know professionals from all over the world. You will significantly improve the level of knowledge and skills in your professional field. You will live in one of the most developed and safe countries. You can rest on the best beaches of the Persian Gulf. You will have the opportunity to travel. You will have stable high income. You can accumulate enough money during the work. You won’t need to spend your wages for renting a flat, utilities, meals and transport to the place of work. You will visit one of the most amazing countries in the world. You pay for the services after a successful interview, signing of the contract with us and conclusion of the labor agreement. The maximum commission of our agency is USD 500. Our prices are lower than other offers on the market. We do not require an advance payment, as many other recruiting agencies do. Your guarantee is conclusion of formal agreement with the employer and obtaining of employment visa. HRQ United managers will be happy to advise you on the specifics of employment in Bahrain. We will provide you with a large selection of vacancies from our partners. All our partners are tested by experienced specialists, we have full information about them. Our customers pay for the services in installments. depending on your preferences, skills and experience. - control over the rational design of the hall, bar counters, shop windows, etc. - the organization of a high level of service in the service of guests, etc. - work with credit cards and cash. - compliance with corporate standards of the company. - support and improvement of service standards, in accordance with the concept of the hotel. 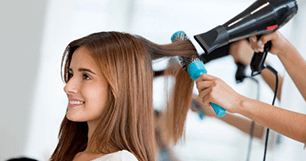 - compliance with high standards of service in the salon. - compliance with the requirements of personal hygiene and industrial sanitation, etc. 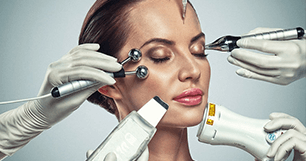 - maintenance of high standards of service in the salon. 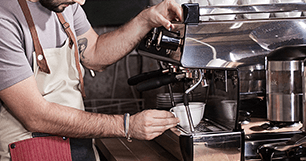 - monitor the serviceability of the entrusted equipment and the quality of the beverages. 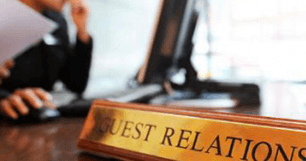 - solve questions and problem situations that have hotel guests. - knowledge of the menu. Every day we employ Russian-speaking workers in the Kingdom of Bahrain. You can find out about current vacancies on the pages of our blog. 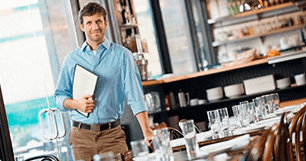 Get a discount on job placement for the waiter vacancy by filling out the form fields. Hurry to catch it before the end of the promo! Leave your details in the form provided to get a gift. A memo for travelers to Bahrain. A sample of a properly completed application form.